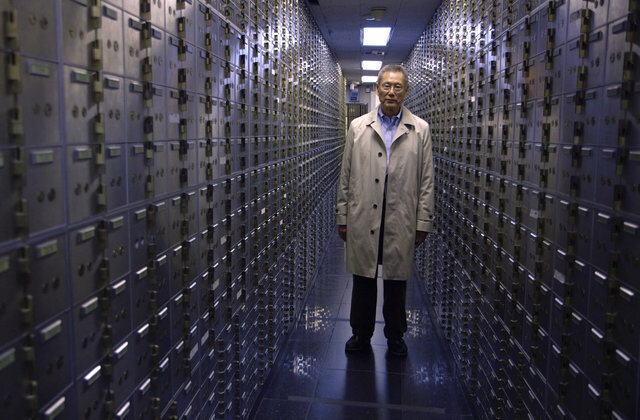 Abacus: Small Enough to Jail will have its broadcast premiere on PBS' FRONTLINE on September 12 at 10PM ET / 9PM CT. Following the broadcast, the film will stream online for free at pbs.org/frontline. James previously worked with FRONTLINE in 2012 on our Emmy Award-winning documentary, The Interrupters. After making its world premiere at the Toronto International Film Festival in 2016, a theatrical version of Abacus: Small Enough to Jail was showcased in more than 30 film festivals and in dozens of theaters across the country. The FRONTLINE version of Abacus: Small Enough to Jail will premiere September 12 on PBS, and will stream online for free on pbs.org/frontline. FRONTLINE, U.S. television’s longest running investigative documentary series, explores the issues of our times through powerful storytelling. FRONTLINE has won every major journalism and broadcasting award, including 82 Emmy Awards and 20 Peabody Awards. Visit pbs.org/frontline and follow us on Twitter, Facebook, Instagram, YouTube, Tumblr and Google+ to learn more. Founded in 1983, FRONTLINE is produced by WGBH Boston and is broadcast nationwide on PBS. Funding for FRONTLINE is provided through the support of PBS viewers and by the Corporation for Public Broadcasting. Major funding for FRONTLINE is provided by The John D. and Catherine T. MacArthur Foundation. Additional funding is provided by Ford Foundation, the Park Foundation, the John and Helen Glessner Family Trust and the FRONTLINE Journalism Fund with major support from Jon and Jo Ann Hagler on behalf of the Jon L. Hagler Foundation.